What do I need to do to Buy a House Now? The very first thing is get a loan lined and determine how much you want to spend. Many people need to push themselves to get into the first home. It is often a big financial stretch, but others may not have to stretch as much. Do not buy more home than you need, just because you can. Also just because one lender does not have good news for you does not mean that another lender will not be able to help you. This creates the odd paradox of getting a Realtor before you get the loan, if you have not already lined a loan up. A good Realtor works with different lenders and will have an idea as to which lender will best be able to serve you. Once you have a budget determine your priorities for a home. What is your lifestyle, what is most important to you. Some of us may be lucky enough to get everything we want in a home, but for most of us it is about priorities. What is more important to you a fireplace or a 3 car garage; an updated kitchen or that extra bedroom? Is it better to live close to the school or do you want to be able to walk to shopping? Start looking at homes. My advise look on line, at your Realtor's Web site, not giant 3rd party sites; they often contain phantom listings. Send the list to your Realtor to review. Your Realtor may recommend against some of them before even showing based on information not available to the general public or just experience. Your Realtor may also have some other recommendations for you based on what you seem interested in. Go see some of these homes ASAP. Keep your priorities in mind, but be flexible. Wear comfortable shoes that slip on and off. After viewing some homes you may change some of your priorities. Just visiting homes can open our eyes to things you had not considered. So after some looking if nothing strikes you as just right, rethink your priorities and/or your budget. Once you find a home that you want act fast. This is a tight sellers market. Do not wait and loose the home. This is why we did all the financial prep work up front. The most important step you can take is to E-Mail Me Now and tell me about your hopes and dreams for you new home. Then we can start making a plan to get you there. Gene is the owner of Home Point Real Estate in Brentwood California. 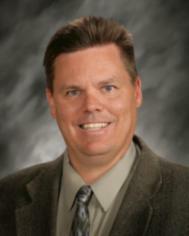 He works with Home Buyers, Home Sellers and Real Estate Investors in East Contra Costa County and Beyond. How Much Down Payment on put on a Home As Much as Possible? What Do New Buyers Want different than Repeat Buyers?